Your rights go with you when you go online. That’s the simple premise that has guided EFF’s work for 28 years. To make this premise real in 2018, we worked to ensure that law, corporate policies, and software are all hard-coded with the principles of free speech, privacy, and the right to innovate. Too often, we’ve seen that bad law and policy arise from misunderstandings about how law will interact with technology. A well-intentioned law can silence innocent people if lawmakers don’t understand how online platforms actually work. If there’s no one explaining how cell phone location information works, a court can make a decision that undermines everyone’s privacy. And users can be subjected to increasingly invasive monitoring by advertising companies if there’s no one building tools to help them defend themselves, or if the legal path to building those technologies is restricted. EFF must play that role, and we can only do it thanks to our roughly 40,000 members all over the world. There’s been no time in history when this work was more urgent. In 2018, digital privacy and free speech issues took center stage in the public conversation in a way they never had before. A long string of scandals called into question how much information we should be comfortable sharing with Facebook and other companies using the “surveillance business model.” Both in Europe and in the United States, EFF helped policymakers grapple with questions of how law can meaningfully protect users’ privacy—something EFF has long advocated for—while not stifling competition among Internet services. Censorship debates have come to the fore, as well. As Internet platforms undertook much more active roles in policing their users’ activity, EFF continued to push them not just to do more, but to do better. We warned both companies and lawmakers that overreliance on automated moderation tools invariably leads to both overbroad and underbroad moderation. In a major blow to online speech and community, a coalition of the world’s largest Internet companies helped pass FOSTA, the most extreme Internet censorship bill in over 20 years. As soon as it passed, EFF was in court trying to stop it. We also continue to fight new threats that government agencies bring to everyday people’s privacy. This year, we challenged invasive searches of digital devices at the U.S. border and won an early victory. Late this year we filed suit challenging California’s DNA collection from arrestees. And in June, our years of patiently explaining cell phone location tracking to the courts paid off, as the Supreme Court directly cited our arguments in ruling that the First and Fourth Amendments apply to that data. 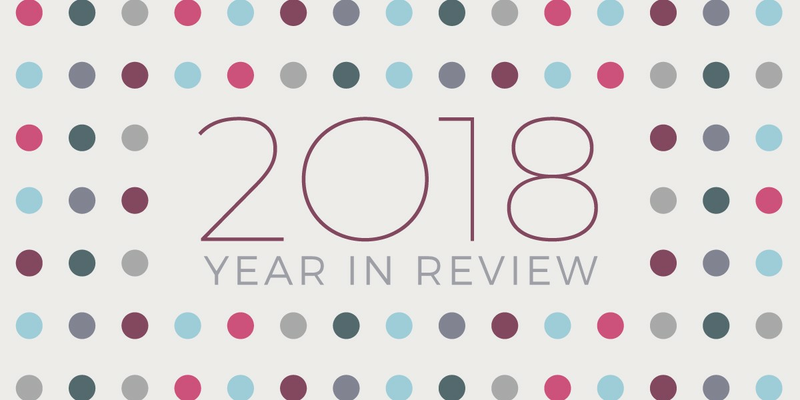 When we were discussing what events we’d cover in this series of blog posts, there were so many moments when someone shrieked, “That was this year?” It’s true: 2018 has been an exhausting year. But every victory we’ve had has re-energized us and redoubled our commitment to protecting your rights online. Thanks to each and every one of you for standing on the side of digital rights. Please join this movement to protect and defend and sometimes build a digital world that serves us, rather than the other way around. EFF has an annual tradition of writing several blog posts on what we’ve accomplished this year, what we’ve learned, and where we have more to do. We will update this page with new stories about digital rights in 2018 every day between now and the end of the year. Can the Government Block Me on Twitter?